Following the new photo from Justice League that was released yesterday, Empire is back with a high-res version of the photo and even a quote from director Zack Snyder about the elephant in the room, or rather, the Man of Steel. As you may recall from the ending of Batman v Superman: Dawn of Justice, the Man of Steel didn’t make it out of the film alive, though the final seconds of the feature teased he would return. Star Henry Cavill also teased the character’s infamous “black suit” last year, a costume that the hero wore in the pages of DC Comics following his resurrection. What role do you think Superman will play in the film? Sound off below! 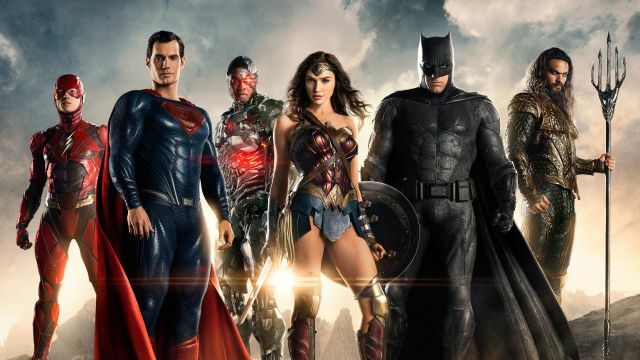 Justice League also stars Ben Affleck as Batman, Gal Gadot as Wonder Woman, Jason Momoa as Aquaman, Ezra Miller as The Flash, Ray Fisher as Cyborg, Willem Dafoe as Nuidis Vulko, Jesse Eisenberg as Lex Luthor, Jeremy Irons as Alfred Pennyworth, Diane Lane as Martha Kent, Connie Nielsen as Queen Hippolyta, with J.K. Simmons as Commissioner Gordon, and Amy Adams as Lois Lane.